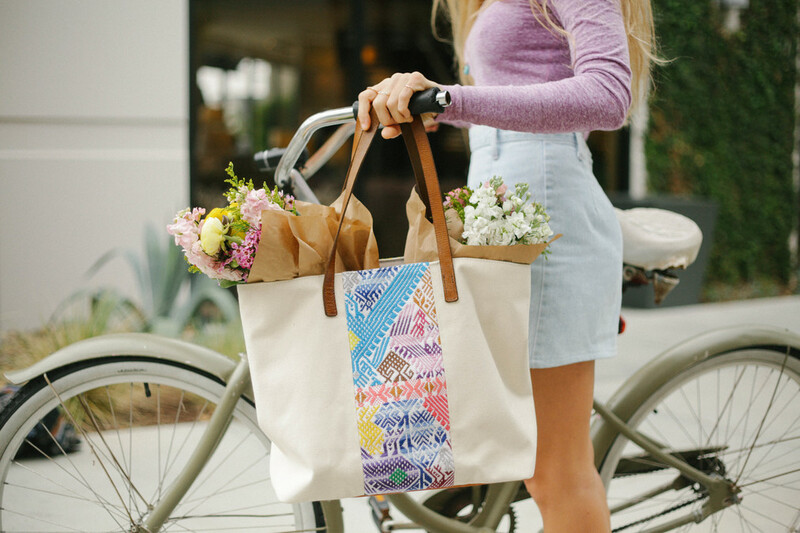 JOJI is a line of handbags featuring handwoven Mayan textiles that empowers women weavers in Guatemala via job creation, health care, and education. Started by a mother-daughter duo, JOJI employs 15 Mayan women living in the rural highlands of Guatemala as part of their weaving cooperative. Each JOJI bag is one-of-a-kind and hand signed by the woman who made it.